New Games, Books, and Minis in Spades! Posted: Sat Jul 22, 2017 6:51 am Post subject: New Games, Books, and Minis in Spades! Another inevitable influx of incredible new inventory! This week we've got great new miniatures, board and card games, and RPG and history books in spades! 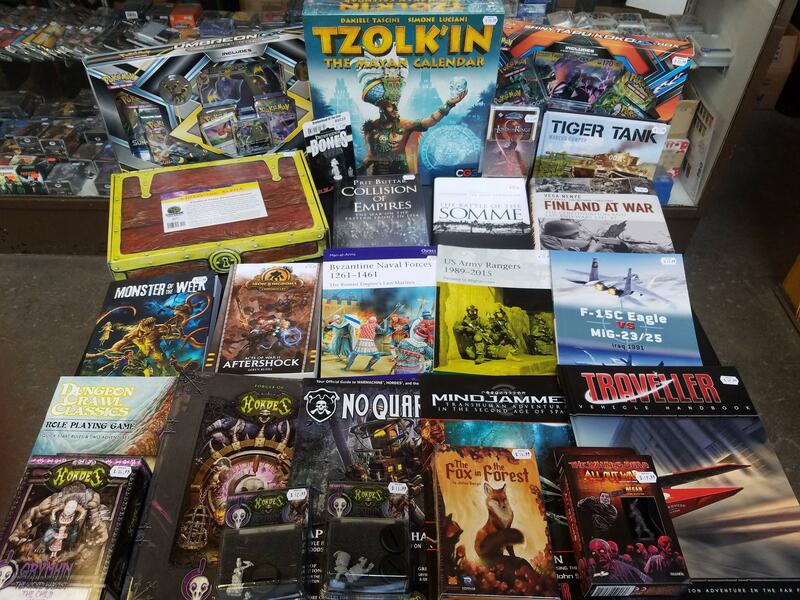 New items include Tzolk'in: The Mayan Calendar Game, Dungeon Crawl Classics RPG Quick Start Rulebook, Monster of the Week RPG rulebook, The Fox in the Forest card game, Tiger Tank mini book, Finland at War 1941-45, The Battle of the Somme, new Reaper Bones and Hordes miniatures, and more! Stop by the store and check out all these awesome new books, games, and minis today!